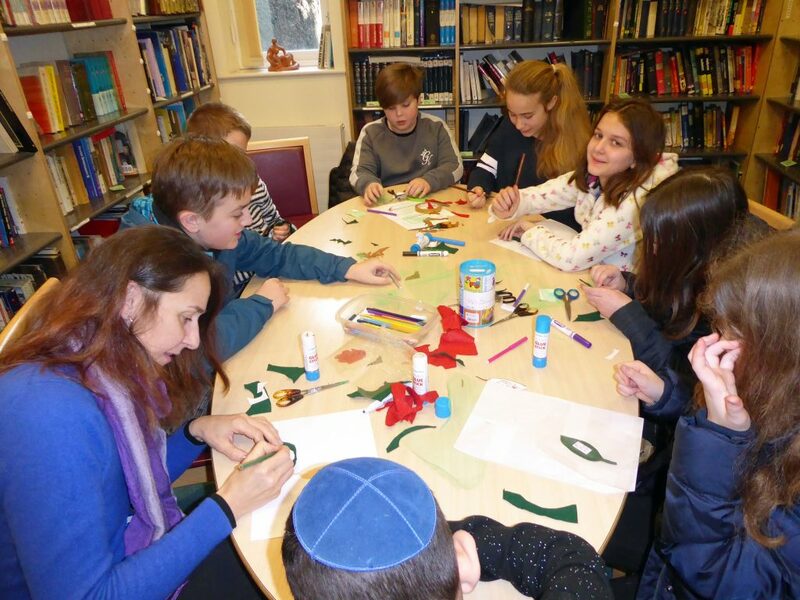 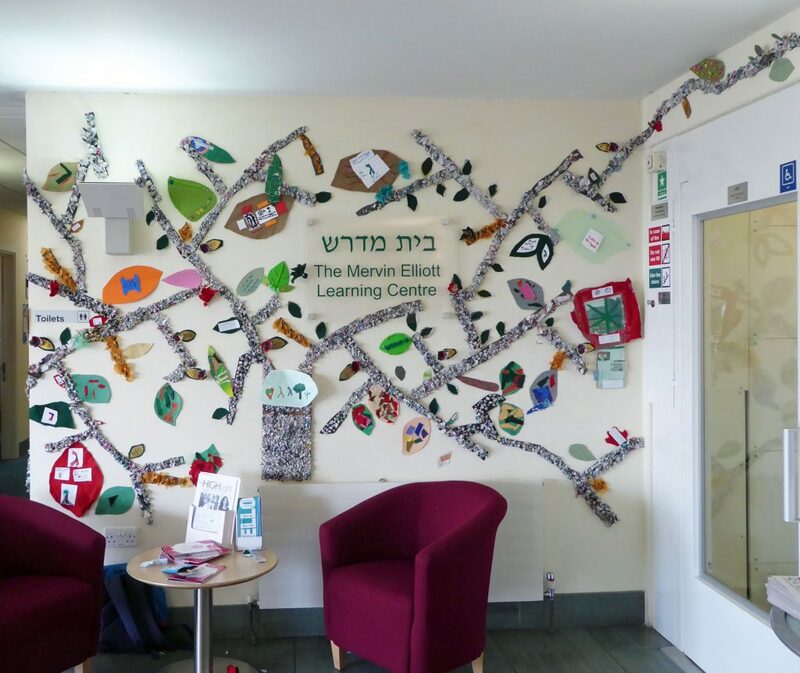 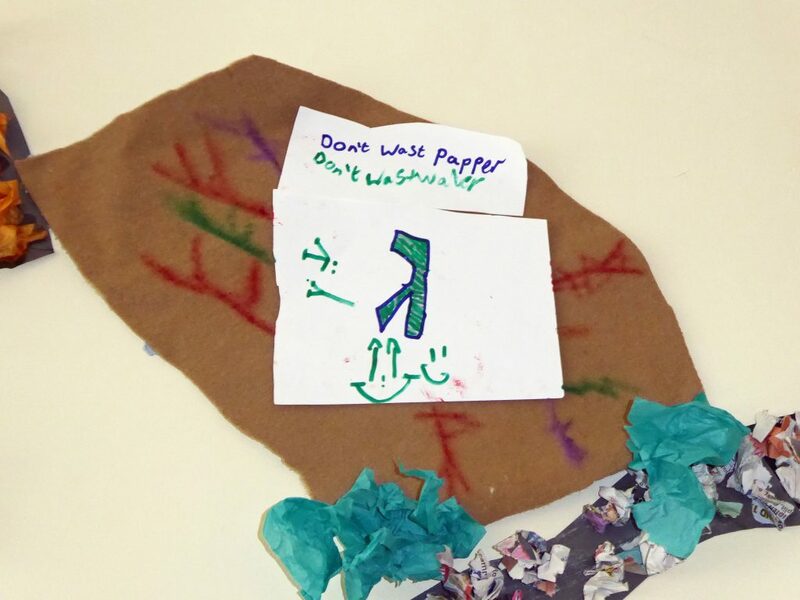 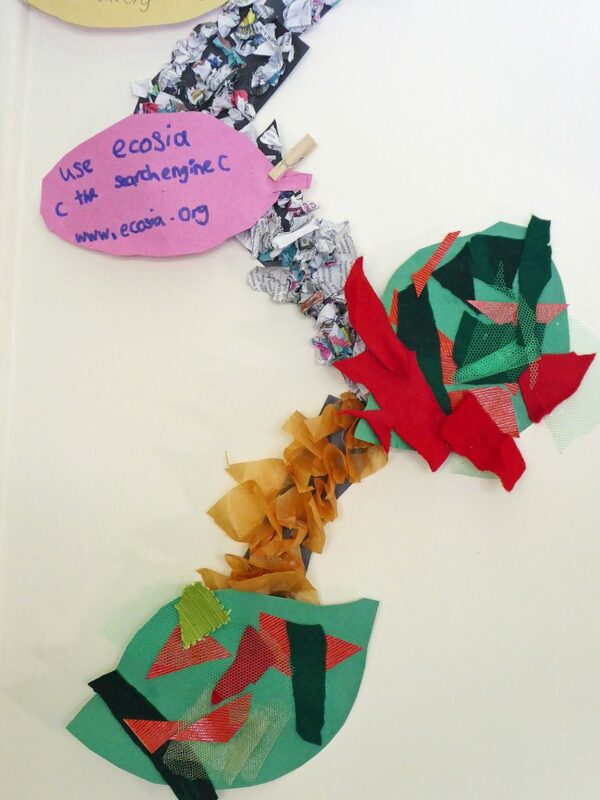 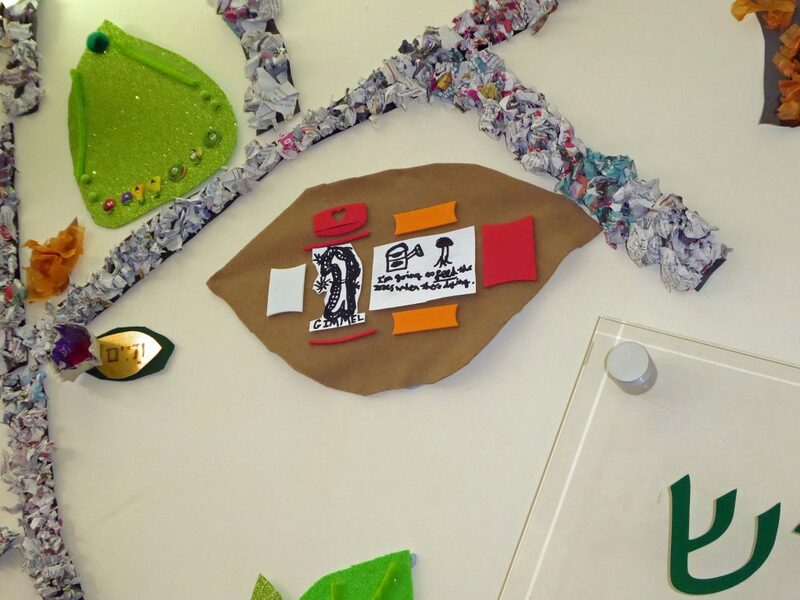 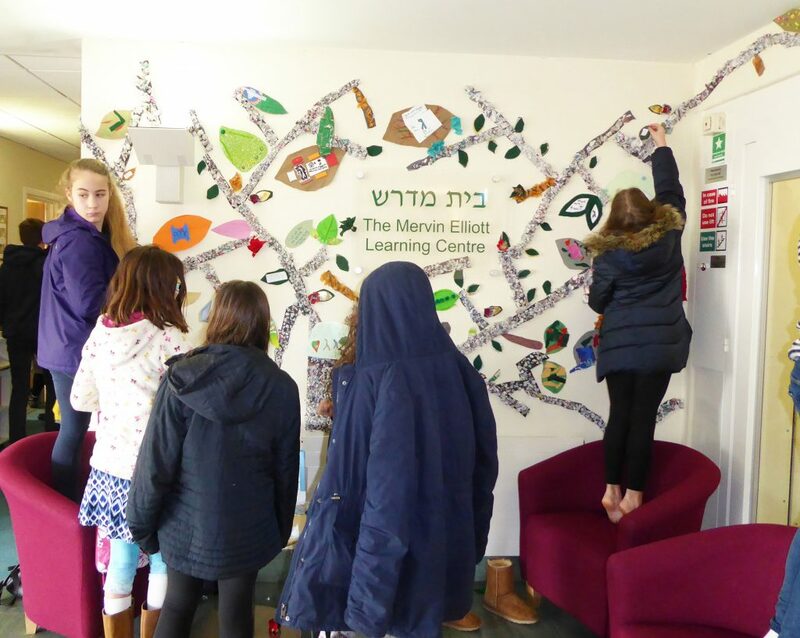 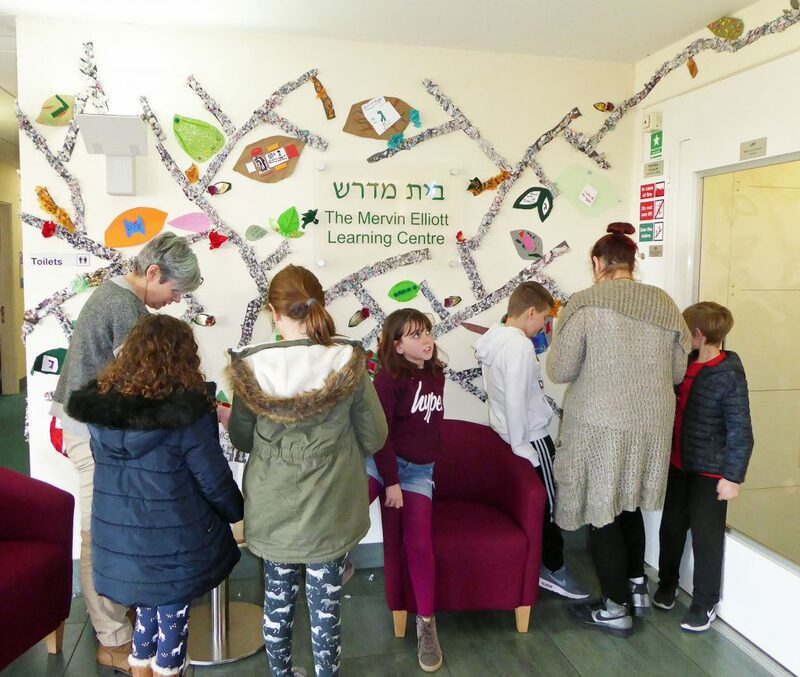 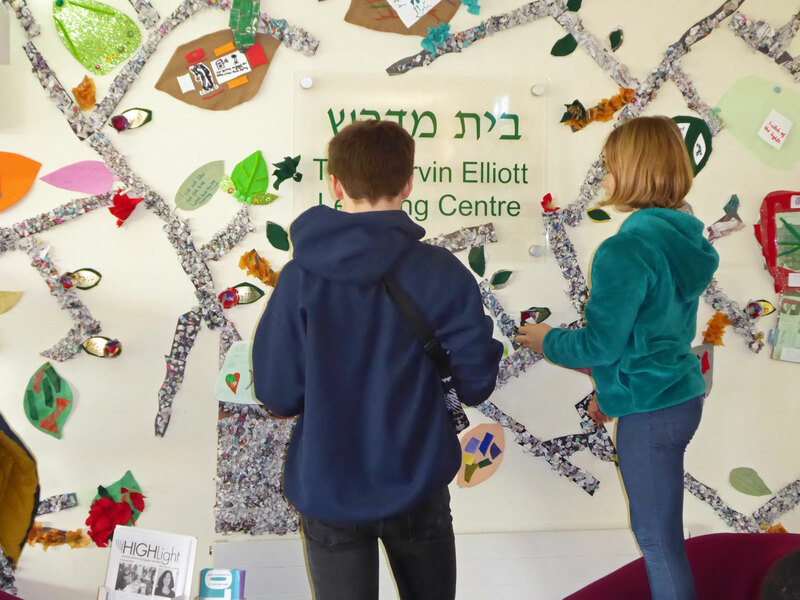 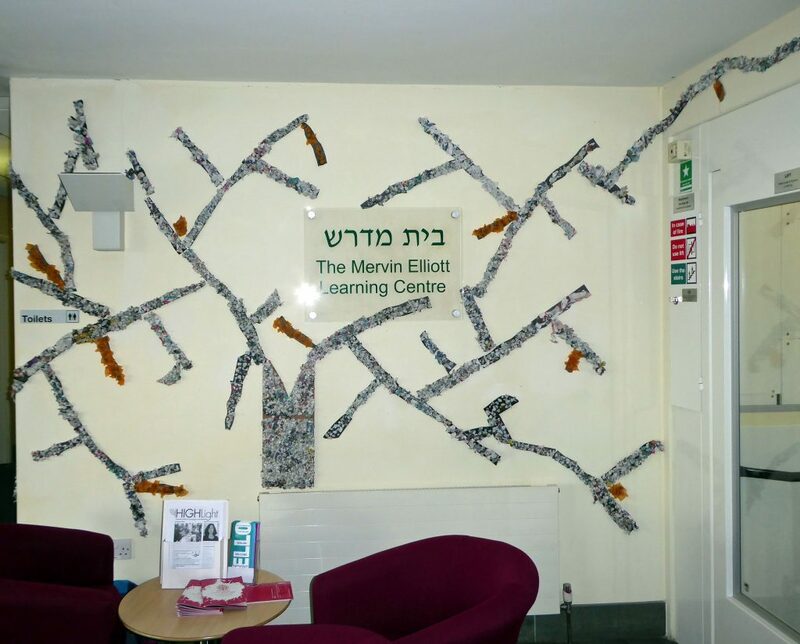 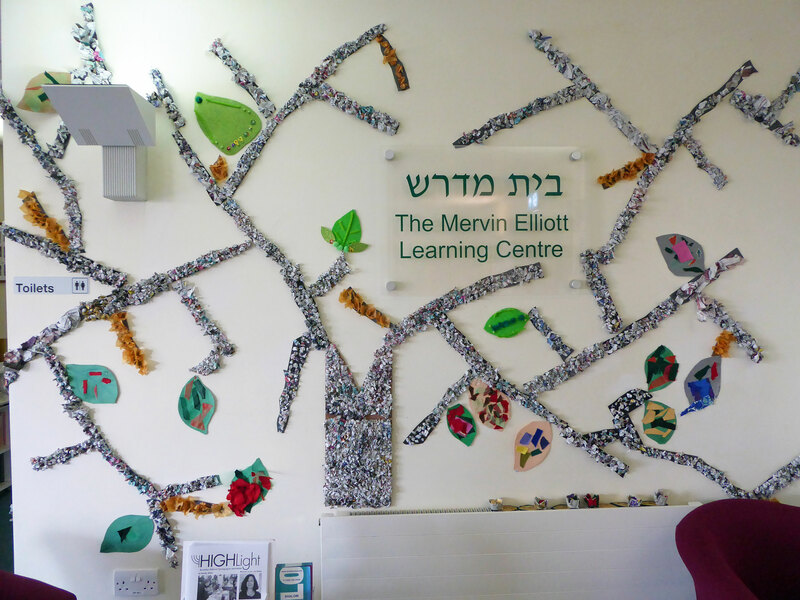 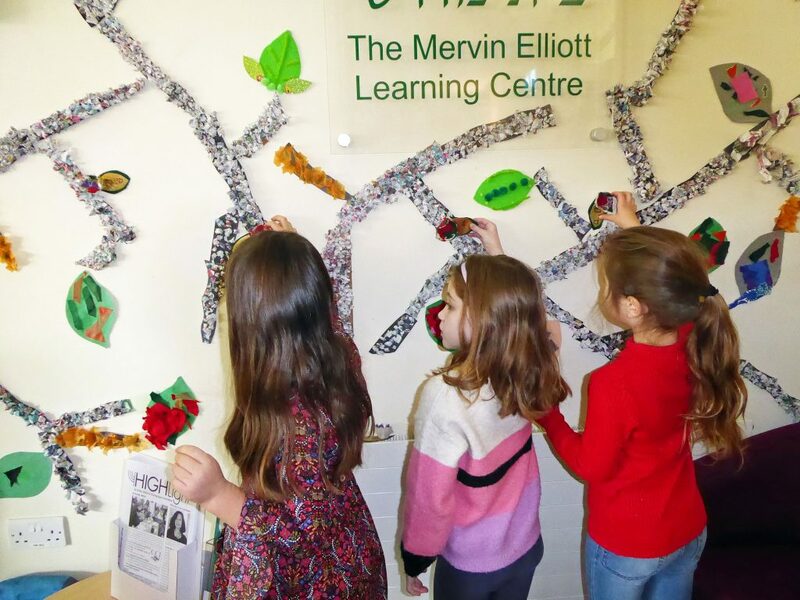 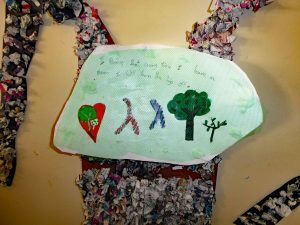 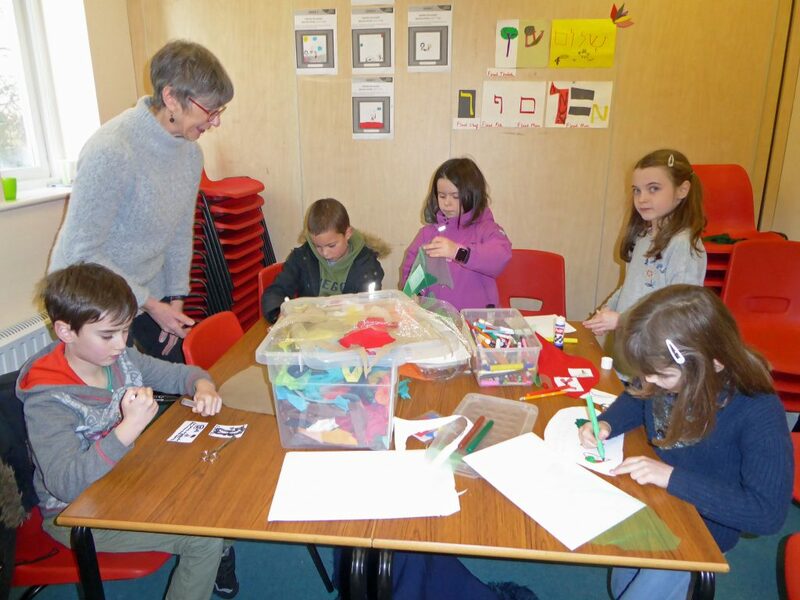 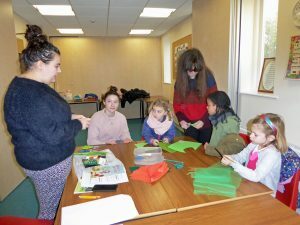 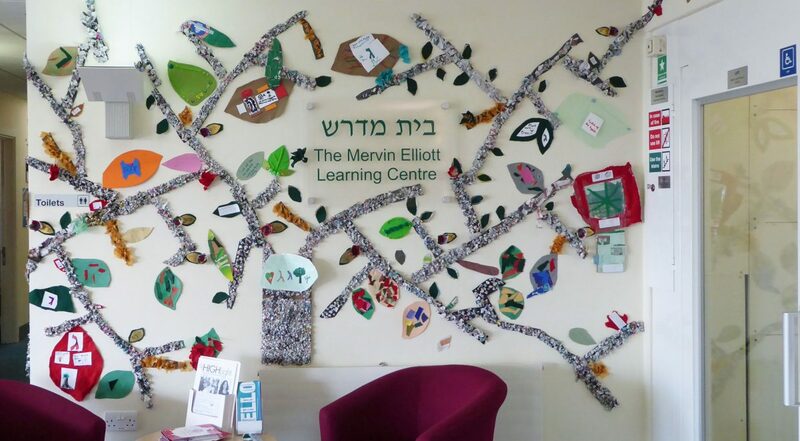 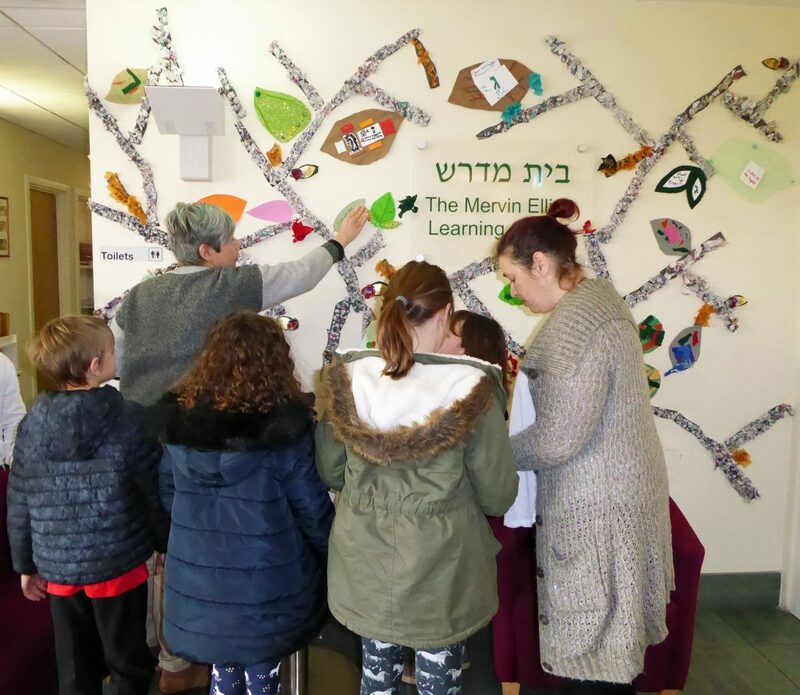 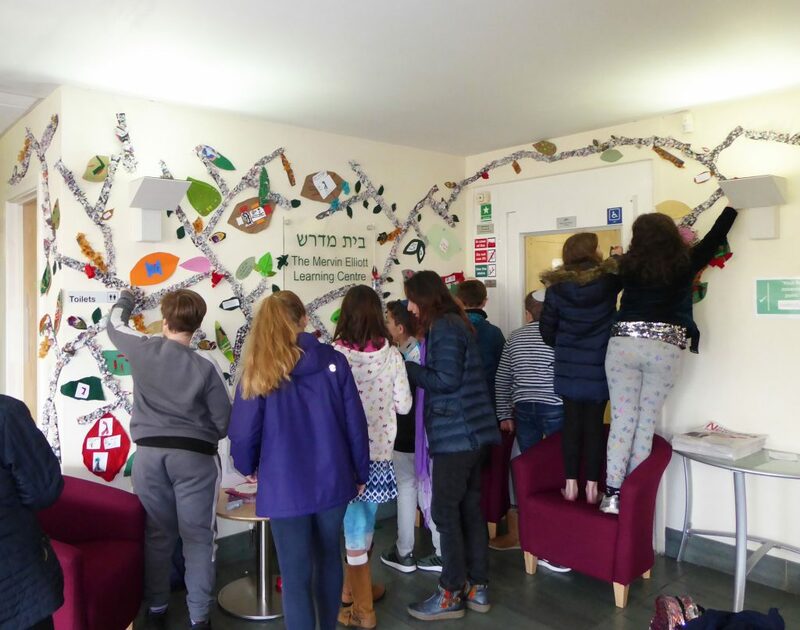 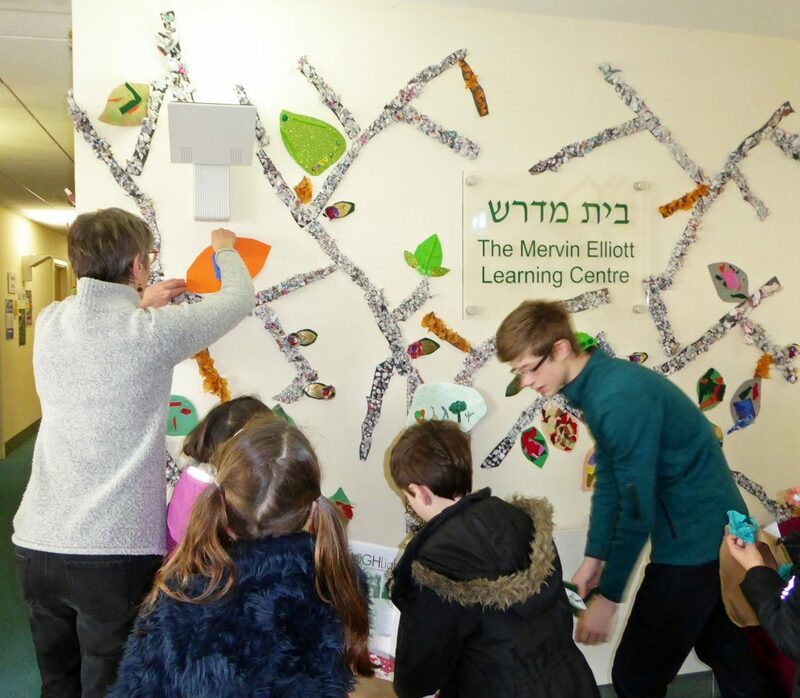 The Cheder celebrated Tu B’Shvat (the New Year of Trees) on Sunday, 20 January by tasting the customary seven fruits from the Land of Israel and by attaching leaves to a tree on the wall of the synagogue foyer that had previously been built up from crumpled, recycled newspaper. 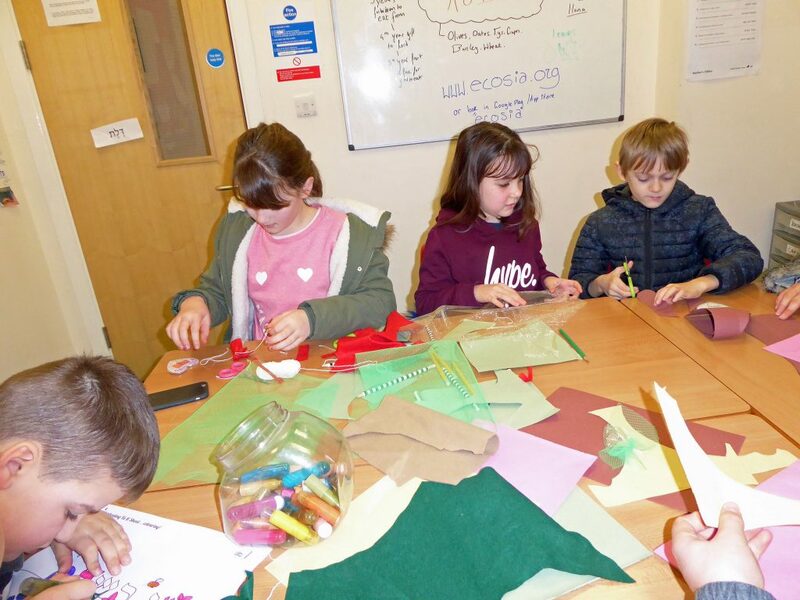 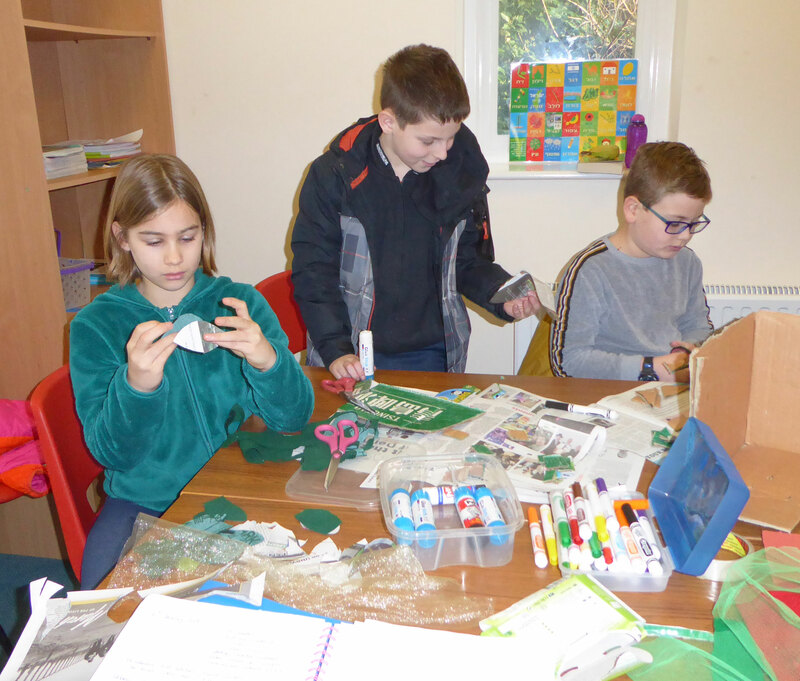 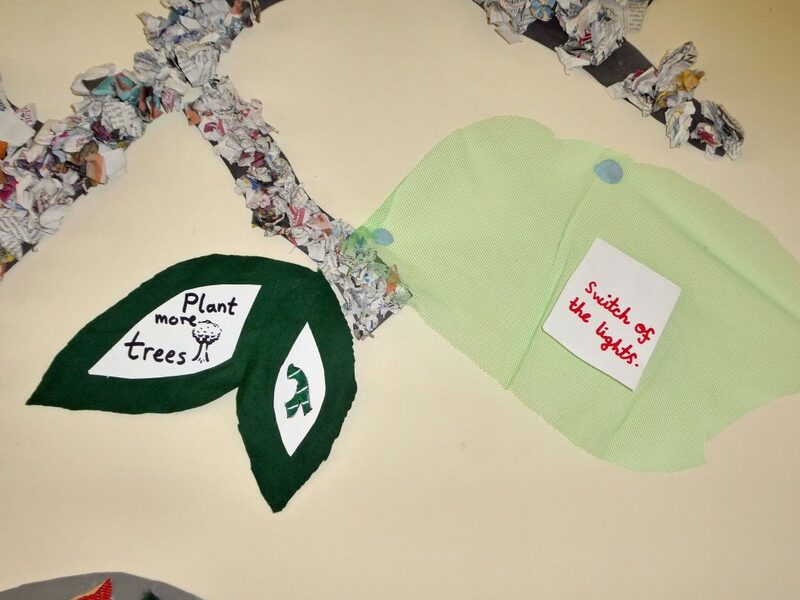 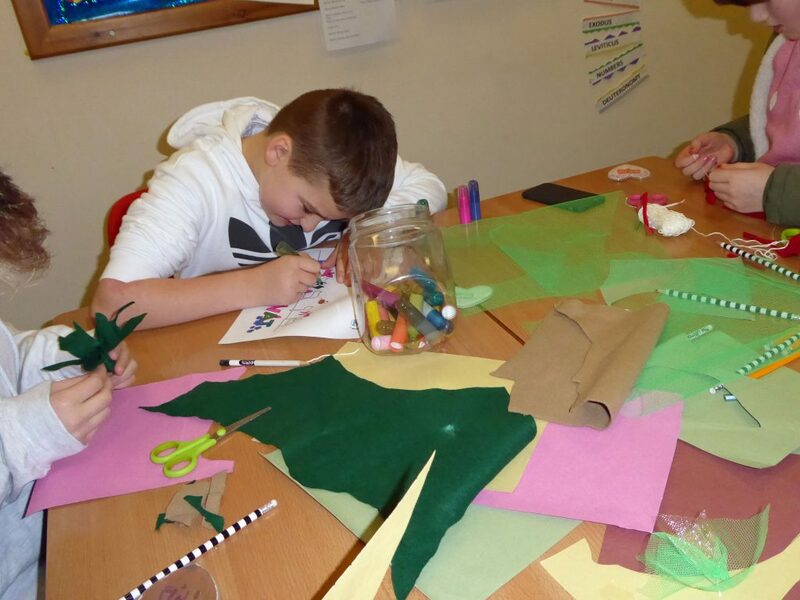 The emphasis was on safeguarding the environment and the leaves bore slogans or promises showing how the Cheder pupils intended to go about this. The photographs show them first putting together their leaves in the classrooms and then attaching them to the tree. 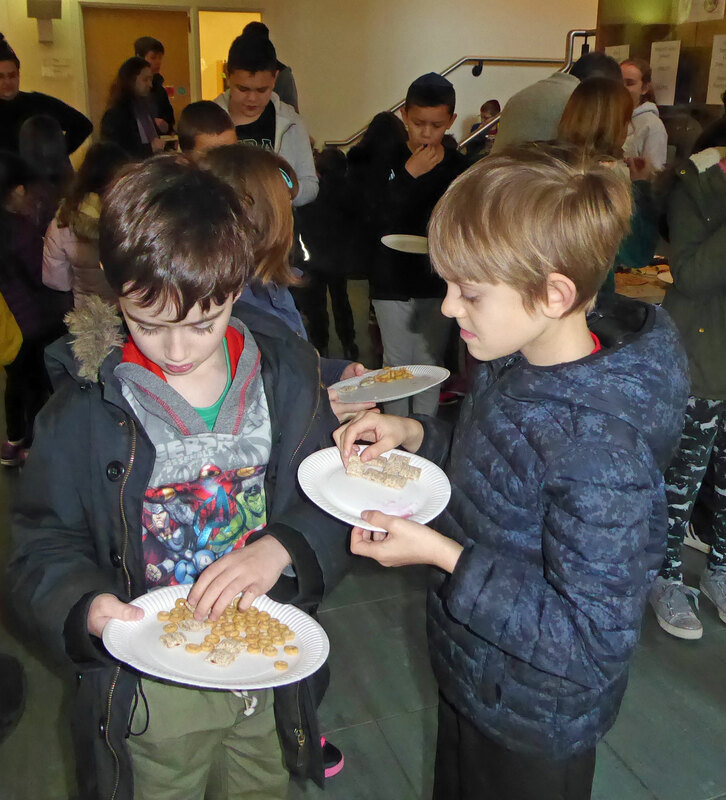 There is also a shot of the pupils tasting the fruits.